This is about the never-ending battle between Federal Express and UPS and a legislative provision to knock out one of FedEx’s competitive advantages: its nonunion truck drivers. FedEx Express is an airline top to bottom. It avoids the labor law that regulates UPS and other trucking companies. So while UPS drivers all belong to the Teamsters union, the law for an airline such as FedEx Express makes it much harder to unionize. The provision would effectively reclassify FedEx Express drivers as nonairline employees. And the lobbying is fierce. Home-state lawmakers are taking sides with Sen. Lamar Alexander leading the charge for Tennessee-based FedEx. Alexander says that he’ll block the bill that the FedEx Express provision has been rolled into. You can see and download all campaign contributions to federal candidates in the 2009-2010 cycle by UPS here and FedEx here. Another thing that this story illuminates is the type of lobbying campaigns that companies run these days. 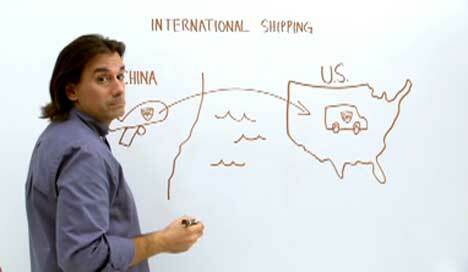 The article mentions this “off-beat” YouTube video from FedEx Express featuring a UPS-whiteboard guy look-alike doing a Michael Moore routine on Capitol Hill. While the video does feel like it could have been crafted by early-90s Simpsons writers as a satire of corporate attempts to be “edgy,” I do have to praise FedEx for identifying themselves as the funder of the video and campaign.